Imagine winning €1,000 a day for the rest of your life… It’s now possible at Lottoland thanks to the new and exclusive Cash4Life Jackpot. Read on to find out more about this exciting and innovative jackpot! Cash4Life is one of our most exciting products to date. Unlike traditional lotteries where you get paid out in a lump sum, with Cash4Life you win €1,000 a day for life if you hit the top prize. Second prize is €1,000 a month for life, which is not to be sneezed at either! It costs just €2.50 to enter a single line bet. That is a pretty tempting deal when you consider the enormity of the jackpot you are trying to win. You will need to pick 5 numbers from 1 to 60, and a Cash Ball between 1 and 4, giving you 6 numbers in total. If you match all 6 numbers then you will win the jackpot, while those who match 5 numbers win €1,000 a month. It's important to pay attention to that Cash Ball, because that will bump your prize up to the next level as long as you find at least one of the other five numbers. Our Cash4Life jackpot is based on the outcome of the New York Lottery which takes place at approximately 3am Irish every Tuesday and Friday. That means that if at first you don't succeed, you won't have to wait too long for the next draw to take place. You won't need to stay up half the night to discover the results of the draw, they will be waiting for you when you wake up the following morning. Hopefully with some very good news for you! 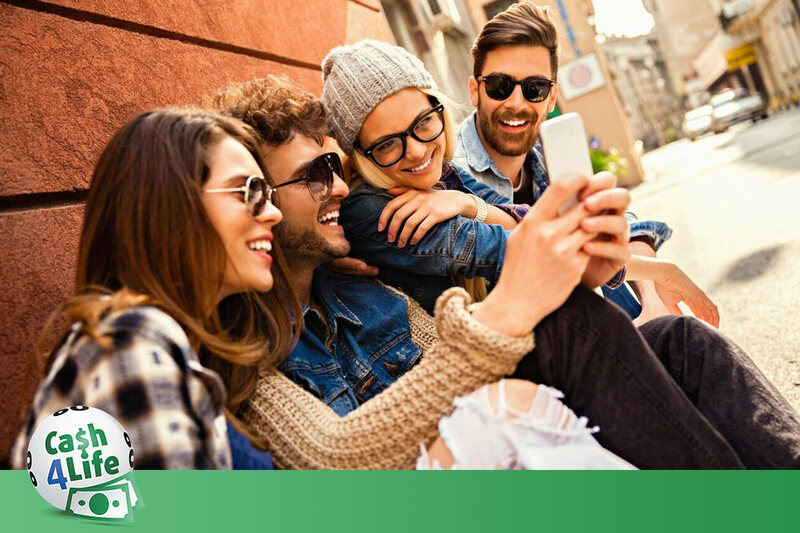 The odds of hitting the top prize of €1,000 a month for life on Cash4Life are just over 1 in 21 million, making them highly favourable compared to the vast majority of other lotteries. For instance, the odds of winning the EuroMillions are 1 in 138 million! You won't find many lotteries offering shorter odds of nabbing such an amazing prize, which is why Cash4Life is one of our most popular lotteries here at Lottoland. And if you are not fortunate enough to nab the jackpot, there are still plenty of tempting lower tier prizes to go for. The table above the preceding paragraph shows you the odds of winning each prize tier. In the New York Cash4Life draw winners will be taxed on their €1,000 top prize, but that’s not the case at Lottoland where if you hit the top prize you will not be taxed a penny! Neither lottery wins nor gambling wins are taxable here, so whatever you win is all yours to keep. That means that when we say that you can win a thousand a day, that is exactly how much that will be added to your bank account. Every day, for the rest of your life! It really is the lottery jackpot prize that just keeps on giving. There is literally nothing else like Cash4Life out there for Irish customers. This unique jackpot is going to flip expectations of what a lottery win is on their head. Some people might be intimidated by the prospect of winning a huge multimillion pound jackpot. With that sudden massive influx of cash comes a host of questions. What shall I do with all the money? How much shall I give to family/friends? Cash4Life removes all that doubt. Top prize is a ‘grand in the hand’ every day for as long as you stick around on this mortal coil. It’s the absolute ultimate early pension. Another great thing about Cash4Life is that winning feeling lasts a lot longer. 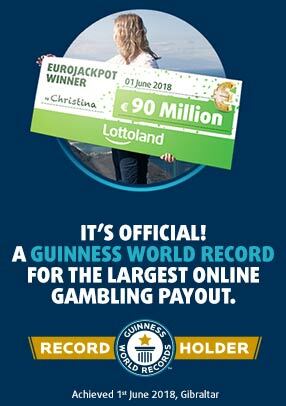 Every day you’ll get up knowing that you’re a thousand euros richer! Give it a whirl by placing a bet today!